Is there a spy in your wallet? If you subscribe to one of the nation’s favourite loyalty cards you could be giving out more than you bargained for. You get a free bottle of wine twice a year; they get intimate information about your dinner habits and medical problems. Sound like a fair deal? 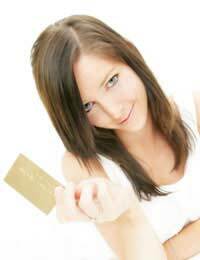 Supermarkets and chain stores spend millions on loyalty cards each year. Tesco alone was reported to have handed out £200m of vouchers last year; other companies offer extremely generous incentives, and that’s before the cost of the letters to 15 million cardholders. Why do retailers bother? To sell more stuff. Using information you’ve given in your application, combined with all the receipts for products you’ve bought, the retailer is able to build a detailed picture of your lifestyle. Shoppers are classified according to family status, according to wealth, according to the type of food or make-up they buy, and according to their ‘price sensitivity’. If you’re a bargain-hunter, you may receive alerts to offers on products that you don’t usually buy. On the other hand, if you always buy the same brands without checking price, you may not receive these offers at all – especially if you are loyal to the retailer’s brand. Young families and professional couples would, likewise, receive different marketing messages. The highest-spending customers are likely to get special offers and freebies that the rest of us go without. Ultimately, the motive of every loyalty card is getting you to spend more. In addition, some loyalty schemes – like Nectar – share their information, enabling them to build a fuller picture of customer lifestyles. Join at one store, and your card links you to a number of additional purchases, giving your supermarket an insight into the car you drive, the music you like, and even the amount you earn every month. They aim to get you shopping exclusively at retailers in their network, putting small and independent retailers out of the picture. What's Next for Loyalty Cards? You might have heard of RFID chips. Radio Frequency Identification is a type of tagging for products. Electronic chips – the size of a speck of dust – are attached to products, and assigned a unique number. A radio scanner can pick up the item’s location within a radius of between 1 and 500 metres. These electronic chips are currently being trialled in supermarkets in the UK. They have also attracted a lot of criticism. Ultimately, the designers of the RFID systems envision the use of chips on every product in the country. This could give retailers an electronic map showing precisely where each product has gone, indicating when it’s been consumed or finished, and stopping shoplifting in its tracks. Already one of the trials of RFID chips – which were attached to razor packs – has enabled the store to identify a shoplifter who picked up a pack, unaware that he had triggered a CCTV camera behind him as he did so. RFID chips will enable retailers to find out what you picked up in-store, what you subsequently purchased, and where you live – even whether you took it to work the next day, or gave it away. They will even see whether you ate a lonely TV dinner or cooked for a romantic rendezvous. Combined with the personal data held on your loyalty card (with which you checked out the chipped products), the RFID chip could potentially let the retailer into every part of your life. Shop at local retailers that do not provide a loyalty scheme or store your personal information. It’s probably hidden at the bottom of the application, but make sure you find it – it’s illegal for companies to share your information if you’ve asked them not to. Wow, I am doing this for school. really helpful.